Nothing takes up more room in your kitchen than a baby’s high chair. When it’s time for your little one to sit down for a meal, the high chair may not seem like such an obstacle, but for a majority of the time, it’s empty and just taking up space. The solution? Provide one seat that doubles in use for baby and adult! The Beyond Junior Y High Chair from Abiie can accommodate everyone from baby to adult. Instead of having to push a bulky high chair into a corner when guests come over, the Beyond Junior chair can be quickly transformed into a seat for your older guests. It’s easy to clean, with a waterproof seat cushion and one hand removable tray that can be easily put in the dishwater. It’s also easy to fold for travel or storage. You can find the Beyond Junior Y High Chair at varying prices, depending on the retailer, all just shy of about $200. If you’re planning to buy a high chair for your little one, the Beyond Junior chair is an investment. It will transform to fit your needs and your child’s as they grow. 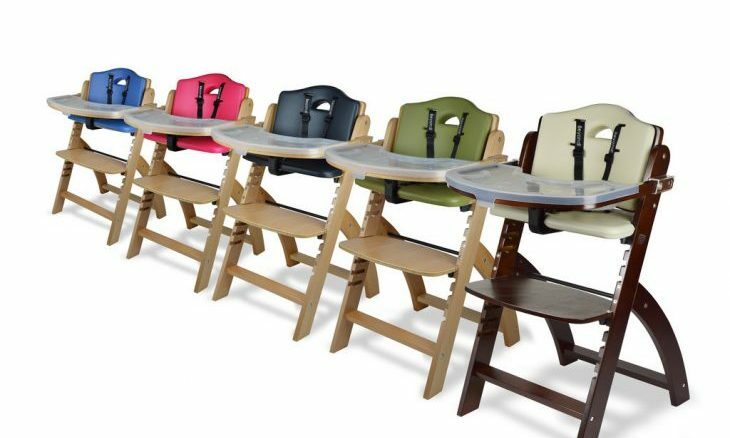 This high chair is a must-get! Check out our other product reviews here.